Very few people enjoy paying taxes, and even fewer wish to overpay on their federal income tax returns. But 80 percent of taxpayers voluntarily do just that each year. Many of these same taxpayers celebrate when they receive large refund checks, failing to realize that they are merely recovering their own money. 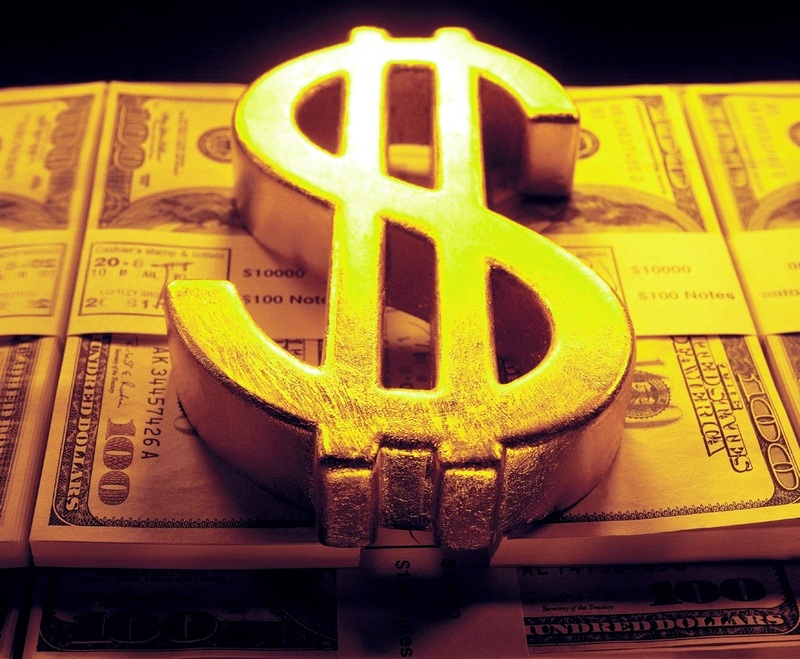 According to an April 2014 article in the Washington Post, federal income tax over-payments by individual taxpayers totaled an eye-popping $192 billion last year. This figure represents the equivalent to one quarter of the entire federal budget deficit for 2013. By overpaying on their tax returns, taxpayers essentially provide the government with an annual 12-month interest free loan, a deal which the IRS does not reciprocate. The regions with the highest rates of taxpayers receiving refunds are found in Appalachia and the Deep South. For instance, in Chattahoochee County, Georgia, an astonishing 95 percent of taxpayers received federal tax refunds during the previous year, according to the Post. It is no coincidence that these regions are also among the most impoverished in the country. 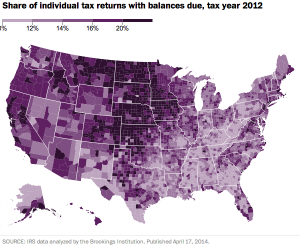 Taxpayers in these regions of the country often have low or no federal tax obligation. Many taxpayers in these areas also benefit from deductions and credits like the Earned Income Tax Credit (EITC), which is a refundable credit. Taxpayers who qualify for the EITC can receive some or all of the credits in the form of a tax refund check, even if they have no federal income tax obligation. The refunds of many low-income taxpayers in this region and elsewhere in the country are drawn from the EITC. An additional 15 percent of taxpayers nationwide owed money to Uncle Sam, with an average tax obligation of $4,656, the Post reports. These taxpayers were largely concentrated in metropolitan areas on the East and West coasts, and in the Plains states. Many of these individuals were self employed entrepreneurs, ranchers and farmers, filing Schedule C, E or F along with their federal income tax returns. 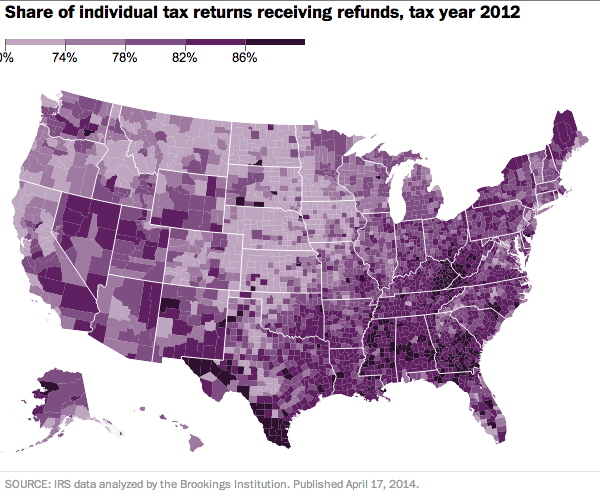 In Liberty County, Montana, only 38 percent of taxpayers received federal income tax refunds. Another 32 percent of taxpayers in Liberty County essentially broke even with Uncle Sam, neither receiving refunds nor owing additional federal income taxes. Liberty County is representative of the states in the upper Plains region, which featured a high concentration of break-even taxpayers. Other states with high numbers of break-even taxpayers include Michigan, Pennsylvania and Vermont, according to the Post. In 2012, the average tax refund was a whopping $2,742 according to the Post. And while many taxpayers enjoyed receiving those large checks, a broad consensus of financial experts agrees that it’s actually a bad financial deal. Taxpayers receive no interest on their refunds unless the IRS delays the processing of their refunds by at least 45 days after the filing date of their federal income tax returns. The amount of interest paid is adjusted quarterly. For 2014, the quarterly interest rate paid by the IRS on delayed tax refunds was a paltry 3 percent. The IRS is not nearly so generous with taxpayers in arrears. Even if you file your return on time, if you don’t pay your full federal income tax obligation, the IRS tacks on a failure-to-pay penalty of ½ of 1 percent on the amount due EVERY MONTH or partial month after the filing due date. The total penalty can equal 25 percent of the amount owed. Taxpayers who request an automatic extension of time to file do not automatically escape the failure-to-pay penalty. These taxpayers must pay at least 90 percent of what they owe by the ORIGINAL due date to escape the penalty. Most taxpayers understandably don’t want to owe money at tax time, so they hedge their bets by overpaying. While it’s a good idea to allow for a small cushion to cover income tax withholdings, the IRS also cuts taxpayers who honestly underestimate their tax obligations a bit of slack. You can escape what the IRS calls the underpayment of estimated tax if your total federal tax obligation is less than $1,000. You may also escape the penalty by paying 90 percent of the current year’s federal tax obligation or 100 percent of your tax obligation for the previous year, whichever is smaller. Wage earners can make adjustments in the withholdings listed on W4 forms. Self-employed workers can meet this obligation through quarterly estimated tax payments. Many taxpayers enjoy receiving their refunds in a lump sum rather than as small additions to their paychecks. That’s understandable as well, but it’s not necessary to overpay Uncle Sam to achieve that goal. Simply divide your average tax return by the number of paychecks you receive. Open a savings account or money market account and deposit the resulting amount into your account with each paycheck. If you want, you can make periodic transfers from your account into a Certificate of Deposit or other investment instrument. At the end of the year, you will have accumulated a tidy sum that equals or exceeds what you would have received as a tax refund.